You know you are getting older when you are coaching your student’s children. That is where I am in life as I am coaching the daughter of one of my former Indian students. June and July was spent training some of India’s brightest tennis prospects. I lived in Chennai in the late 80s and early 90s. During my final year, I had the pleasure of coaching Vasudev Reddy. 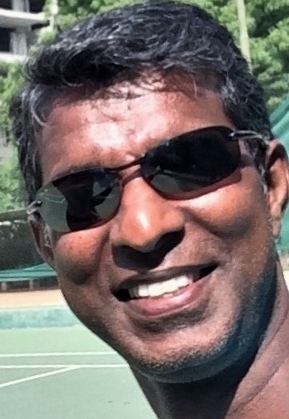 He went onto play Davis Cup for India and establish a thriving tennis academy in Hyderabad. His daughter, Vineetha, has a great future in tennis. Vasu wears his Maui Jims everyday on the court protecting his eyes from the harmful rays and optimizing his clarity of the ball. After trips to Boston, Portland, London, Paris, and Madrid, we finished the summer with training and meetings in Abuja, Nigeria. My wife’s cousin, Manji, was an excellent host and guide, but also a Maui Jim (#MauiJim) fan as can be seen in front of the fabulous Aso Rock. 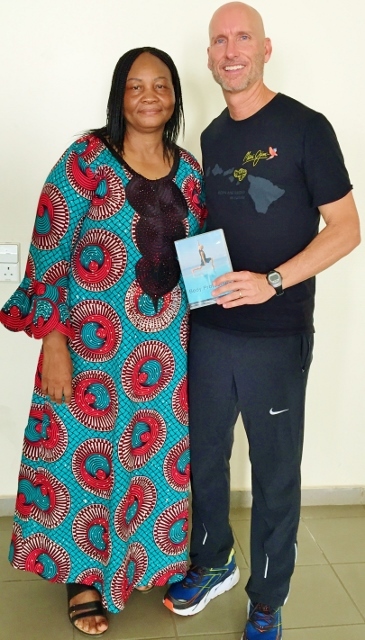 We had the opportunity to meet with Maria Wophill of The Athletics Federation of Nigeria about Body Protection coming to Nigeria again in 2018. We then flew from Abuja to Paris to find out that Miami airport was closed due to hurricane Irma. When we reached Paris, we had a text from a family friend in Charlotte inviting us to stay with them if we were evacuating Florida. Little did they know that we were in Paris. We changed our flight to Charlotte and were so blessed to stay in there for four nights while Irma veered a little east when approaching Sarasota. We were so fortunate. After going around the world three times this summer, it is time to train for a few months in Florida. Maui Jim will still be with us every step of the way guarding our eyes and enhancing our sports performance.